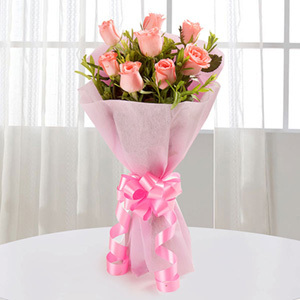 To express every bit of your heart in front of someone you love dearly is a big task. 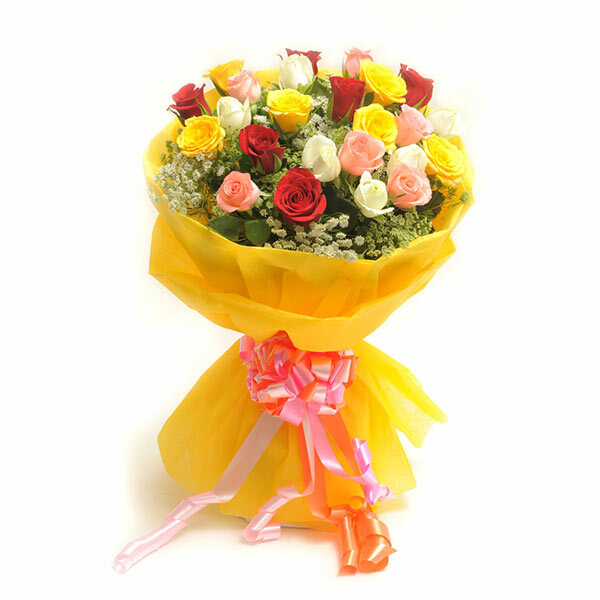 But with this bouquet of mix color roses, the task would be easier and your lover would be super impressed by you for sure. 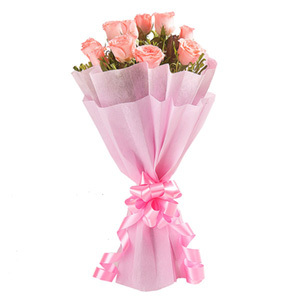 Bunch of 25 Mix colour roses in a yellow paper packing with pink ribbon bow.